More than just a recruitment agency. 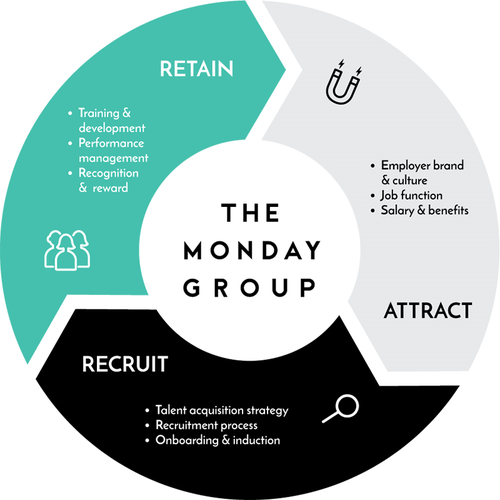 Unlike your average recruitment agency who typically focus solely on placing candidates in open job vacancies, The Monday Group provide businesses in the events, hospitality and leisure industries with valuable support at every stage of the employment cycle. Our team are committed to understanding your business on a deeper level. The solutions we provide enable our clients to not only attract and recruit great staff but also retain your best employees for longer. Discover better ways to engage talent at all stages of the employment cycle. Learn more about our HR Consulting and talent engagement solutions.